"You have absolutely no idea how to control your emotions." The first trailer has debuted for the latest film from American filmmaker Paul Schrader, titled Dog Eat Dog, starring Nicolas Cage and Willem Dafoe. This first premiered in the Directors' Fortnight at this year's Cannes Film Festival, but didn't emerge with too much buzz and even worse, it still doesn't have US distribution in place yet. Dog Eat Dog is about three criminals, fresh out of prison, planning one last score to wrap up their life of crime and get things back on track. "One more hit, one more jackpot, and they'll all be satisfied." Of course, it never turns out to be that easy. The cast includes Christopher Matthew Cook, Louisa Krause, Magi Avila, and Schrader himself as "Grecco The Greek". This trailer is crazy violent, and totally wild, but I'm not sure if that's good. Dive in. Carved from a lifetime of experience that runs the gamut from incarceration to liberation, Dog Eat Dog is the story of three men who are all out of prison and now have the task of adapting themselves to civilian life. The California three strikes law looms over them, but what the hell, they're going to do it, and they're going to do it their way. Troy, an aloof mastermind, seeks an uncomplicated, clean life but cannot get away from his hatred for the system. Diesel is on the mob's payroll and his interest in his suburban home and his nagging wife is waning. The loose cannon of the trio, Mad Dog, is possessed by true demons within, which lead him from one situation to the next. One more hit, one more jackpot, and they'll all be satisfied. 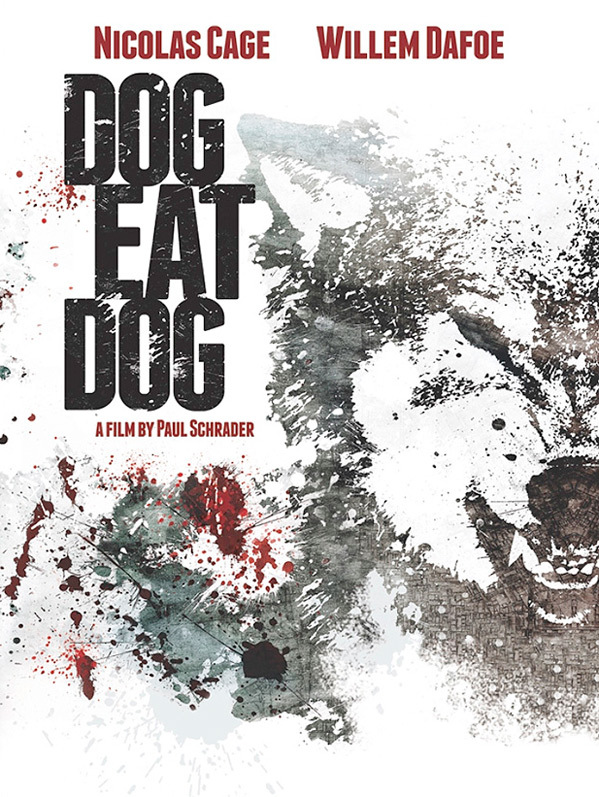 Dog Eat Dog is directed by veteran filmmaker Paul Schrader (American Gigolo, Light of Day, Patty Hearst, Affliction, Dying of the Light), based on Edward Bunker's novel of the same name. This first premiered in Cannes this year. The film doesn't have US distribution yet so no release date is set. Anyone? wow what a great trailer. Looks pretty good. Clearly Defoe is going to carry this, although I actually have confidence in Cage's performance this time. Can't remember the last time I felt that way about him. [quote] This trailer is crazy violent, and totally wild, but I'm not sure if that's good [/quote] Hedging your bets in case the movie isn't? Cause the trailer looks good. I don't think this really looks that good... Just my opinion. And also just because it's violent and wild doesn't mean it will be good - that's my point. I get that. But then again, Nic Cage hasn't really been doing stellar movies lately, so its understandable that people wanna play it safe when it comes to raising hopes about his movies. I did find some genuinely funny moments in the trailer tho. Like the one where Dafoe says they haven't heard of successful ones cause they managed to escape incognito. Well...at least Nic Cage's hair piece looks good.